A reader named Shant commented on my MP3 of the week post this week. Killers are definitely a takeoff of the 80s Manchester scene. Certainly a Cure influence there, but if you watch their videos, the lead singer is definitely a Morrissey man. Which leads me to wonder, can we ever expect a Smiths album in the Top 50? Shant, you don’t need to wait any longer. I am adding two records to the Top 50 this week because I’ve been in a 80s Manchester mood this week. 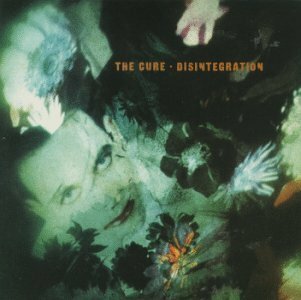 The first is my favorite Cure record, Disintegration. This was the beginning of the disintegration for the band, but its also their best record, combining the post-punk pop songs the band is known for and a darker, more brooding sound that was a sign of things to come. We listened to this record non stop when it came out in the summer of 1989. The second is my favorites Smiths record, Strangeways. This record came out in 1987 and it was in heavy rotation for a couple years after that. The song Girlfriend In a Coma in particular reminds me of the late 80s every time I hear it. Both records capture a time in our life and still get airtime in our house, and now they are on my Top 50.